What is common between Ricky Kej, Nelson Mandela and Mahatma Gandhi? It isn’t really hard to figure. Nelson Mandela and Mahatma Gandhi had humble beginnings in the awesome country of South Africa. But how is India’s recent Grammy Award winning musician Ricky Kej connected? There is one thing that brings together is what brings the world around. Music. That is the element that has been bringing people together, religions, races, humans together as one. Good music satisfies your soul. It awakens your inner emotions and I had the opportunity to interact with Ricky Kej on the eve of World Music Day celebrated across the world in honour of the great Nelson Mandela who loved music and always felt that music brought peace amongst one and all. I met Ricky at his studio in Bangalore where we spent close to two hours discussing movies, music, his journey and of course his inspiration for the soulful music that he makes. How is it going with you post the Grammy win? Are we going to see you making music for movies now? It has been hectic, but good (laughs).On films, they are something that I am not going to do. They do not fit into my plans or scheme of work. They do not interest me. I have always believed in making music for myself and something that I like or rather have the freedom to do. With films, I’m bound by a story track, a situation and I have to make music in accordance to that. I will always make music that represents me. I love Shanti Orchestra and your first album the Kama Sutra lounge. What is the inspiration behind the kind of music you make? For me, like I said, music has to be something that is an extension of me. From quite a young age, I have always felt that there are certain personalities across the world, who were quite ahead of their times and I think two such people are Nelson Mandela and Mahatma Gandhi, who made a difference in the world and the path they followed then were considered to be blasphemous and today it is considered as a modern yardstick. Infact everything that they ever said is even more relevant in today’s world. That shows how they would think ahead of their times and how open minded their thoughts and approach towards life was. And I have been a huge fan of Gandhi and when I met Wouter Kellerman, we were planning to meet each other for 3 years and we were a fan of each other’s work and we knew that our music was in alignment with each other’s thoughts and we were wondering what we could do, that is when it just came up that I had made some music on Mahatma Gandhi and he said he had made some on Nelson Mandela, his father of the nation and Mahatma being our father of the nation, and we realised that Mandela was inspired by a lot of principles of Gandhi and Mahatma Gandhi lived in South Africa in his initial years, so we decided that I would send my music on Gandhi and he would send his music on Mandela and I would add a bit of Indian-ness to the Mandela piece and he would do the vice-versa and that was how the project began. During that time we also travelled around the world and collaborated with various musicians around the world and at the end of it we had the album. Did you get a chance to meet the Mandela family? No I haven’t. Wouter did may be. I know for a fact that he played for his 80th birthday just before he passed away and he watched it from his death bed. So it was a wonderful experience for him. How different is the music scene or rather the acceptance in the US from what it is in India? Initially I was just a music appreciator than a music maker. I remember I used to love my music system more than the Television. I hardly watched any TV. For me my ears were more important than my eyes. And in around 6th standard, I just picked up the guitar and started playing it, I was a self taught musician. Much later in my life did I formally study Hindustani Classical music and Western Classical music. It was only after I became a professional I realised that I wanted to make music for myself with freedom than for someone like I said earlier for films. When that happened, I quickly understood that I would not be able to sell my music in India, because to do so, I had to be a part of the film industry and make music there. I could not sit and crib that I cannot do anything here. Gone are those days where the audience would come finding for the musician. We now have to reach out to the audience because they are constantly fed with music on an everyday basis through various mediums. I was fortunate enough that I realised this early on and went finding my audience across the world. 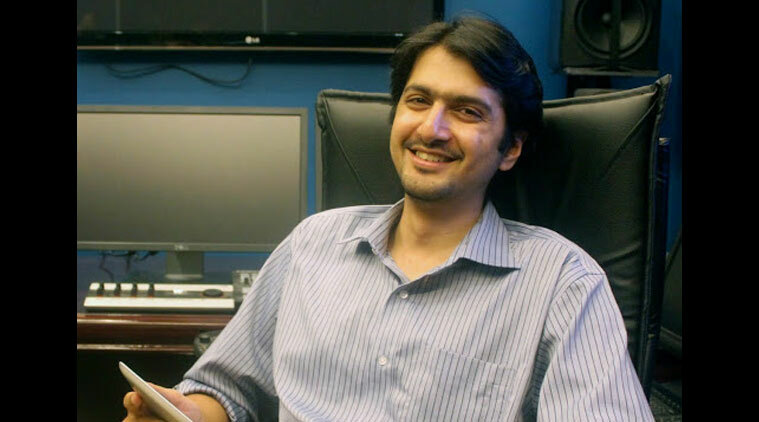 Have you ever thought of collaborating with any of the Indian independent musicians like Rahul Sharma? That is definitely possible. 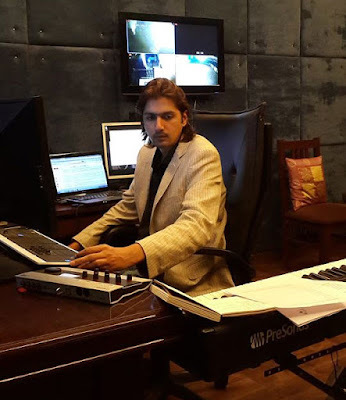 I am excited about collaborating with the Indian musicians like Rahul Sharma, certain bands who have some great music and are popular amongst the Indian market. But the independent musician market can never grow to the level of the Indian film music scene not matter how many collaborations happen. For example you see the musicians who make music for movies on twitter and their followers and compare it for the independent ones, you’ll know the difference. As a man who makes music, have you ever thought of mentoring or giving the upcoming musicians a chance on the international platform? Winds of Samsara was all about that. Infact many Indians were a part of the album. They showcased their talents and every single one of them who were a part of it, lifted the album and did what I couldn’t. They are extremely talented musicians who I found through watching their performances or recommendations etc. Some of them have recorded songs for me recently too and I continue to work with them for their talent. There are two major leads that I am hoping will materialise soon and I have my fingers crossed on. What do you have to say about the International Music Day happening, considering that not many in India really know about it? Every country has different phases, struggles chronicled through music. Music has to be an extension of one’s personality. I feel that the issues of every country must also be made with music to reach to a larger set of people, and considering India’s scenario right now, all we see are love songs coming out rather than chronicling pieces of history, events. Have you thought of taking that initiative? I am working on that and coming back to Nelson Mandela,the Nelson Mandela day stands for basic things that everybody must have access to food, home, spend time in giving back to your country and this is not just about a South Africa thing. This holds good for the whole world, and music has been written about say the dignity of owning a home and food and scarcity. One of my video talks about giving love than being violent and that is what Gandhi spoke of and Mandela also spoke of. Usually when you have a fight or an argument or whatever, it usually is that a non violent way is far more effective with love than getting violent about it. Because that just escalates and then reaches to a point where you hit back and stuff. But then that just becomes like what Gandhi said, “An eye for an eye, makes the whole world Blind”. That is what I try to show through my music, different values and thoughts from these two great visionaries, because a peaceful approach is the most logical and the easiest approach. To take you a little back to an incident where you almost lost your life, how has all this influence from two great people, helped you cope up in trying situations where it is really easy to lose your cool? It is difficult to stay calm when no one is listening to you. Every situation has a different reaction. There needs to be an intent to hear you out. Your first instinct is always to go out with all guns blazing but you need to understand that it may not really work and patience would be the key here. Lastly, do you think India needs a Nelson Mandela here, to free us up from the corruption, apathy etc? There are a lot of role models for people to look up to and learn, but I think Mandela and Gandhi were born out of extreme situations, like the freedom struggle, racism, apartheid, at a time when people were deeply influenced by culture and tradition and they could not believe that what they were saying was right but they managed to convince them that it was wrong. I am not the right person or enlightened enough to see the society from a bird’s eye view like these visionaries. Probably there will be someone who will be able to their views may then become the yardstick for the future. At the end all I want to say is that these guys propagated peace through their work and I hope to make music that brings peace amongst an individual and that would be my challenge. 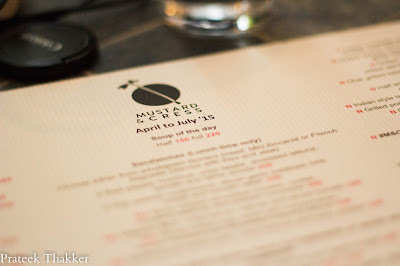 A few weeks back I was invited to visit Mustard & Cress, a California style organic cafe to try out their Signature Specialities along with fellow bloggers. ​​Mustard & Cress is fashioned along the lines of a European street setting w​ith cobblestone paving, Mediterranean-style shutters with window boxes, rows of charming retail fronts, and a large space for performances and open markets. Wondering what I am talking about? Logdycally Crazy is the name of our team that was part of the amazing #LIveLodgycal drive organised by BlogAdda and Renault India at the Leela Kempinski at Goa, Mobor. This I have to say, was the best weekend I had in a long time, with friends , new friends and my brother. My brother and I have never really gone out on a trip like this but seriously, thank you BlogAdda for giving us this opportunity. This Photographer has been creating waves across! Read why! I recently had the wonderful opportunity to talk to someone who has been breaking barriers, carving a niche for herself and currently is one of India's finest Industrial/ Product photographers. Here's bringing to you, Shraddha Kadakia,- a Visual Communicator is the Founder and Managing Director at Just Click Image Making Company. With her unusual stint for commercial photography Shraddha founded her entrepreneurial dream right at the age of 21 to turn it into a mythical congregation today that serves the industry with the delight of art, workshops, training and consulting apart from photography and filming, which form the core of Just Click’s offering. A photographer with a difference, her subjects are intriguing. 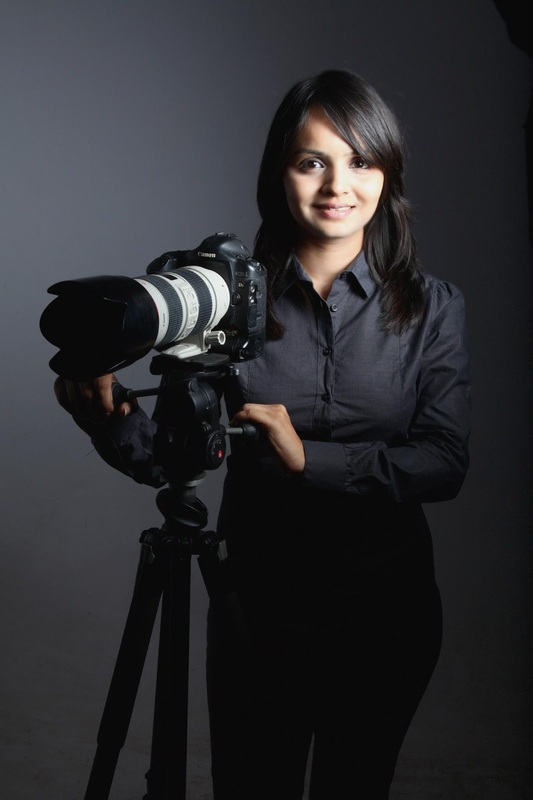 Shraddha specializes into automobile and commercial photography– a domain usually reserved for men. Within a short span of nine years, her zealous vision yielded her desired clients like Skoda Auto Ltd., Bajaj Auto, Apollo Tyers, DC Design, Maruti, Hero Motocorp in the automobile industry and uncountable others across corporate, industrial, fashion and architectural sectors. Having experienced the focus and appreciation given to photography in United States, she feels a strong urge to spread the awareness in her homeland and seed a positive respectable perspective for the field of photography. Smelly to Smiley in seconds!! BlogAdda recently sent this strange parcel to me that had been packed over 4 times and that was funny. They have this knack of getting you interested in the parcels you receive and get you excited. 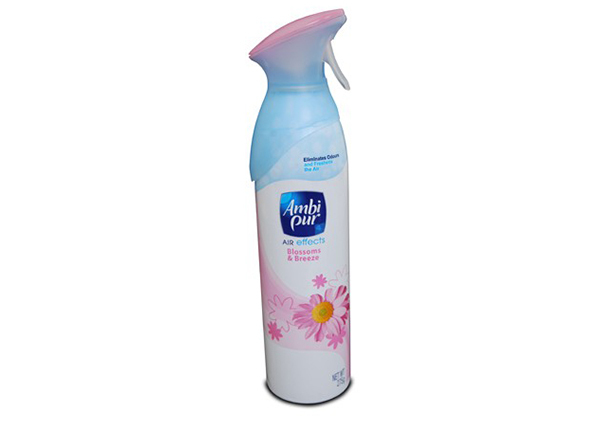 So I started opening them one by one and discovered that it was the Ambi Pur Air Effects room freshner that I had to review. Now the thing with room freshners is, I am allergic to strong scents. I start sneezing almost immediately and that is irritating. Infact even when we have a freshner in the car, I feel nauseated and ultimately throw up. I was a little sceptical because I got the Blossom & Breeze fragrance and from past experience, flowery scents immediately get the Red light going up in my Head (cue- Inside out). I asked my mum not to touch it or use it at home because even when sprayed an hour before I enter home, I can sense the smell and lose control over my sinus muscles :P. Hence it lay at on the shelves for a couple of days all alone. Secretly I know it would have cursed me had it been a living thing for ignoring it. But it was on Thursday, when we had guests over at home and my neighbour started cooking fish at 6 in the evening. Can you beat that? The worst part, our kitchen faces their kitchen and so the stink of Fish cooking gets into our house first. Not even their house. What is worse a house full of fish stink or a better fragrance? I ultimately had to give in and spray the room freshner. I put around a handkerchief around my nose to avoid it and sprayed it all over the house. In a jiffy, the whole stink was gone!!! EUREKA! I wanted to shout… but manners :P So I gently pulled out the kerchief and found that the fragrance was not irritating at all. It was just awesome. So fresh and not “flowery”. It killed the smell instantly. There was only a sweet fragrance around that also helped lighten the mood making everyone go from #SmellyToSmiley and the best part? It stayed for a while. Even after the guests left, we could smell it in pockets of the house. I just have one word for it! AWESOME!! !